Welcome to our Earth Day Symposium! For information for presenters and attendees, visit the EDS 2019 dropdowns in the menu above. 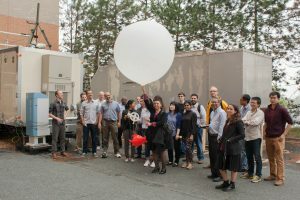 EDS 2017 attendees participate in a live radiosonde launch at the end of a successful event. 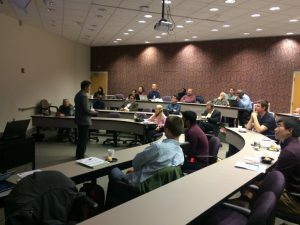 Graduate students and local scientists engaged in several science talks from field leaders at EDS 2018.